*This post may contains affiliate links, for more information please see my disclosure here. We have been diligently working on sign language with Jaxson, he is 18 months old and still can’t communicate orally. He does babble some, but if he does babble it’s few and far between. We upped our Speech Therapy from every other week to weekly per Aerodigestive Team’s recommendation. He’s been doing the sign for “more” a lot, he does it in his little Jaxson way. Instead of tapping his fingers together for “more,” he brings his hands together. It is the cutest thing. We’ve been watching Baby Signing Time a lot in the mornings per some of our DYRK1A Family. Their children loved it so I figured I could try it with Jaxson. I found that our oldest is just as interested with signing so it’s turned into a family thing in the mornings. He also loves their TreeSchoolers program for the older children–very educational and fun! Who thought learning could be so fun? The ten signs we use the most with Jaxson are: More, Eat, Please, Thank you, Help, Mommy, Daddy, All done, No, and Open. Below is a chart from the first episode of Baby Signing Time. Right now he does a lot of shouting or yelling, and he cries when he’s hungry. He seems to understand my signs but hasn’t been able to do them himself quite yet. I’m not discouraged. I know with his genetic mutation that being able to communicate is hit or miss. Some DYRK1A children start saying words between 4 to 7 years old, and I’ve talked to another momma and her son is 16 and can’t talk. He mostly communicates with signs and I think if I remember correctly pictures. There are so many different ways to communicate besides being able to speak. The beauty about communication is that you can draw, write, use pictures, use body language, etc. to communicate with others..
interesting post! I Never heard of baby signing training. What a nice thing! I will definitely share this with my sister in law; she became a mother a few month ago and she will definitely try this out! Such an interesting post! 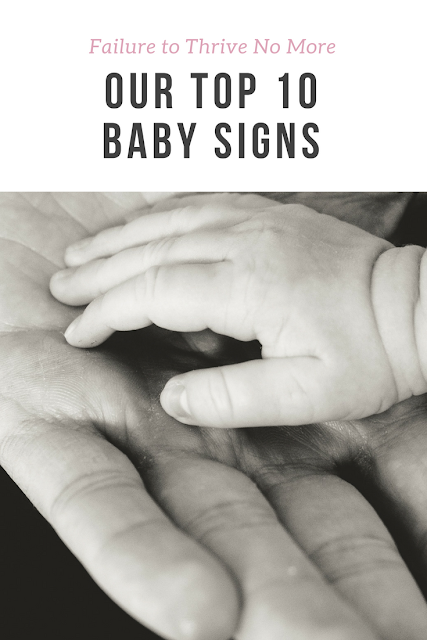 I've always wondered how you start to teach signing at a young age and when to do it. 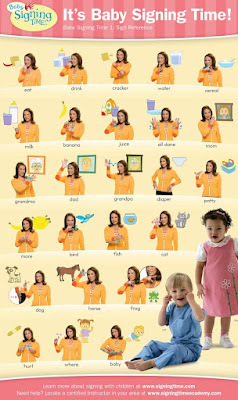 This sounds great – so useful for helping toddlers to express themselves without getting frustrated because they cannot make themselves understood. Yes signing is amazing! It helped so much with communication before Ashlyn found her voice. Some signs were learned faster then others so keep at it. We tried doing baby signs with my boys, but they just weren't having it. They did a couple of them but they weren't the typical signs, just ways they made up to communicate. It is amazing to realize just how many different ways there are to communicate to others besides only speaking. This is amazing! I would love to teach my kiddos this! My daughter is a speech pathology student with a minor in sign language. She is teaching me and told me it's easier to teach children. Thank you for your using your platform to educate us. Thank you! I hope he continues to excel it, it's so hard trying to figure out what he needs right now. Thank you Jazmin, I've heard starting young is the best time! Especially second languages, I grew up speaking both Japanese and English–I need to start doing that with my oldest! Thanks girl! <3 When did she start signing back to you? Thank you Stephanie. I hope to become fluent with signing lol. When we move I want to take classes! Thank you Christa <3 That really meant a lot! Thank you Marjorie! I wish that my high school offered sign, I know some schools in the states do! I love that you're teaching sign language to Jaxson! I think everyone should learn sign language because the more ways we all have to communicate with each other, the better! I love that you are teaching your son a different way to communicate. There is nothing more frustrating than not being able to tell someone what you want. I work in retail and I see many mothers who are doing this. Through your articles I have learned more about the reasons behind it. I always participated with them but now I know how important others help the parents is. Thanks!